As I mentioned in my previous entry, I had the opportunity in December to ski the Alps. This has been on my bucket list for a while and I wanted to take the chance to do it before moving back home. My Dad came over for a week before Christmas and we decided to hit up Austria for a little snow adventure! In the interest of time, we decided to skip Vienna and flew into Salzburg instead. Salzburg is located right on the Austrian-German border and is surrounded by mountains. It was made famous by The Sound of Music, which was set and filmed there. It’s also the birthplace of Mozart and has some of the most delicious chocolates, which are called Mozartkrugel. In the spirit of Christmas, we spent most of our time exploring the Christmas Markets. 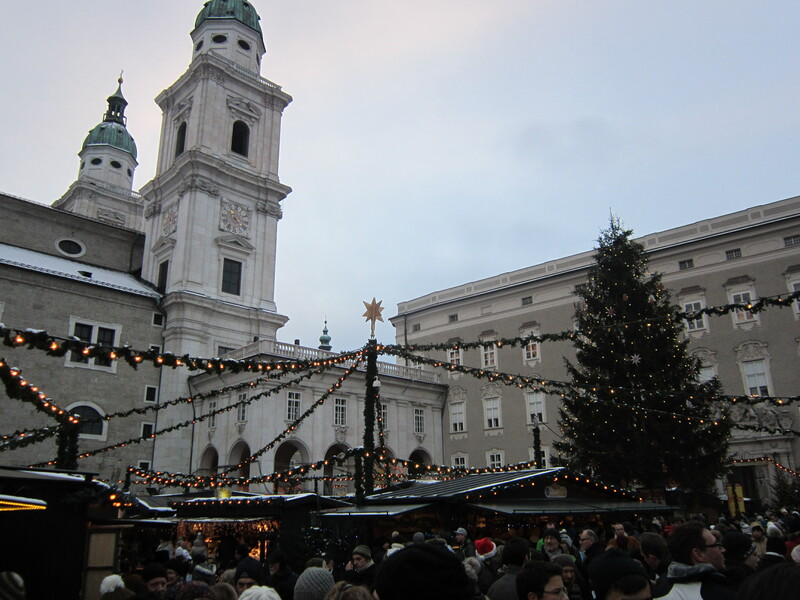 I liked London’s Christmas Markets, but Austria’s Christmas Markets were just incredible! Everywhere I looked, I was surrounded by tasty treats, homemade ornaments, candles, chocolates, and jewelry. We tried out a few traditional foods and stocked up on chocolates. From Salzburg, we took the train to Ischgl, which is the ski resort where we spent the majority of the trip. Ischgl is unlike any ski resort I have ever been to (which really isn’t that many actually). In order to get there, you have to drive right into the Alps for about an hour. The ski town lies in the valley and in order to get to the slopes, you have to take a gondola up into the mountains. From there, there’s 43 lifts and 240km worth of ski trails going up and down the surrounding peaks. We discovered that the peaks of the mountain range actually form the Austrian-Swiss border and that when we were skiing down one side it was the Austrian Alps, while the other side was the Swiss Alps. It was amazing! The first day we skied, it was pretty overcast and snowed a lot, but the second day was sunny with blue skies and unveiled a completely new world to us. On cloudless days, you can see the peaks of the Alps for miles around! 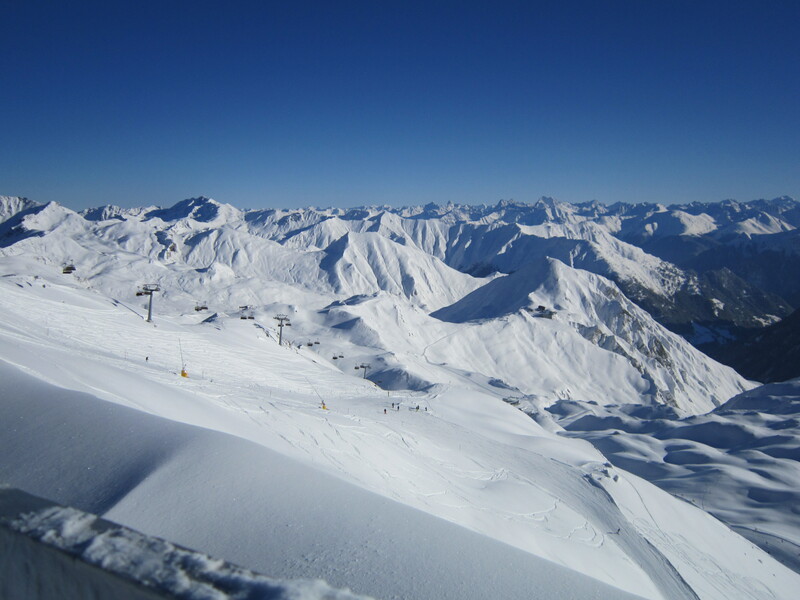 It is an incredible view and completely took our breath away when we reached the top of the lift. I felt that no matter where we skied we were guaranteed to have an amazing view. We skied for three full days; even though my legs were really sore at the end, I loved every minute of it and I’m so glad I had the opportunity. Surprisingly, I also found the skiing really affordable, the daily lift pass is actually cheaper than a lift pass at White Hills back home. 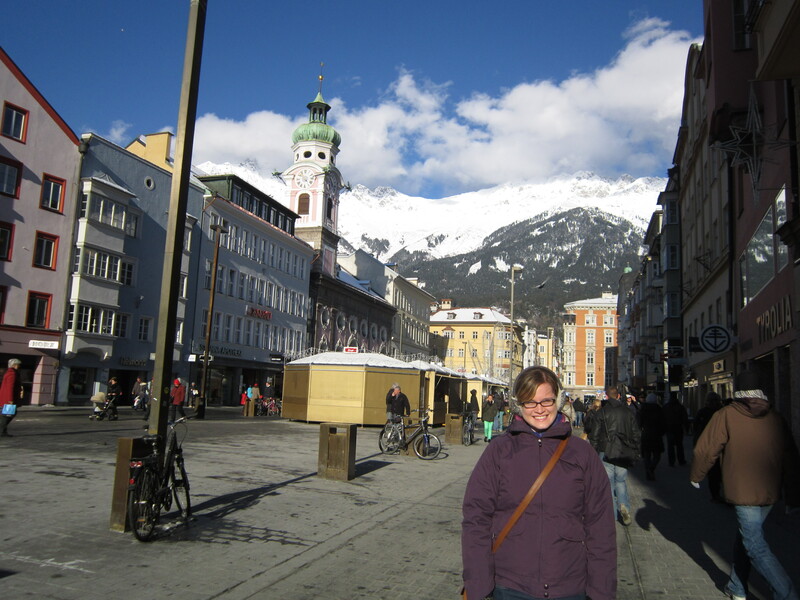 We finished off the trip by stopping into Innsbruck. I visited Innsbruck briefly when I was in high school, but it’s quite a different scene in the winter. Innsbruck is very scenic with the mountains surrounding it, but I found it really cold and didn’t enjoy it quite as much as Salzburg. It’s definitely a colourful city though and there’s always lots of history to learn about! I think I would love to go back to Austria in the summer sometime to do some hiking and to experience the beautiful mountains and lakes in a different way. I’ve been home in St. John’s for two weeks now, but I want to write a few more entries about the last few weeks I spent in Europe. 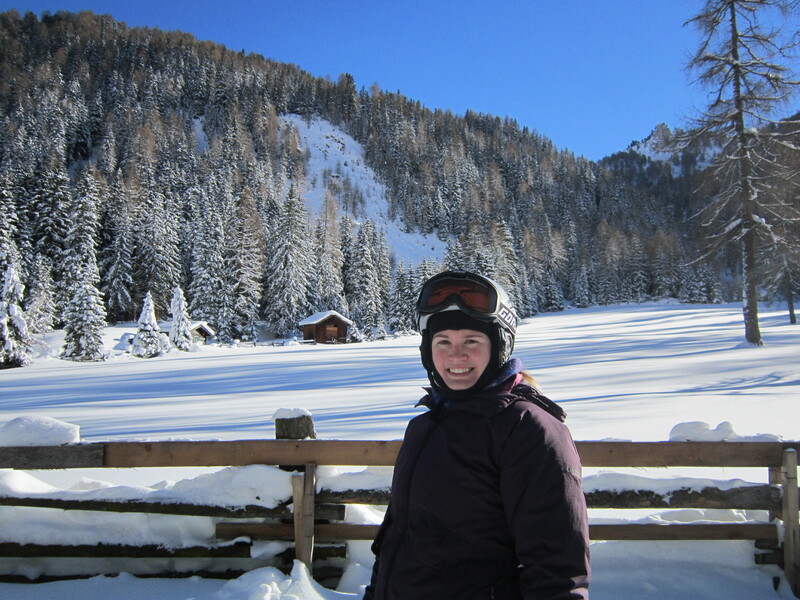 I worked up to the first week in December and then I spent a week skiing in Austria with my Dad before coming home. I was definitely anxious to come home towards the end of the trip, but it was hard saying goodbye to London since I’m not sure when I’ll be back again. I met so many wonderful people this semester and had so many incredible experiences; I’m so glad I took the opportunity to go back and spend another semester living in London. I really felt at home in the city and it’s hard to leave a place once you’ve starting creating your own life there. The city is so vibrant and so diverse, there’s always something exciting going on, it’s impossible not to love it! I spent the last few weeks enjoying Christmas activities. There were several Christmas markets set up around the city and there was a huge winter carnival in Hyde Park. I spent a few afternoons visiting the markets and I went to a Christmas party in Camden with my housemates and to a Christmas party at the Royal Maritime Museum in Greenwich with Lisa and Philippa! I crammed in a bunch of musicals my last few weeks and went to see both Jersey Boys (which was fantastic!) and the new Spice Girls musical, Viva Forever (which was not). On my last weekend, I took the train out to Birmingham to see Mumford and Sons perform. That was definitely my favourite concert this year as I had floor tickets and they were incredible live! I spent my last week saying goodbye to the wonderful friends I’ve made over the past year. I was so lucky with my housemates; we spent lots of nights talking and cooking and often went out together. We all came from different countries, but could all relate to each other and had lots of wonderful stories to share. I’m so thankful as well for all the students I met at Regent Hall and everyone that I met at Hillsong. Meeting people can be tough in a new city and I’m so glad that I found a church family on Oxford Street. Finally, I learned so much and had such a great time working at LMC. I felt like a part of the company and I gained so much from the experience. I’m very happy to be home now, especially since I got to come back just in time for Christmas, but I wanted to take the time to reflect on the last part of my experience in London. I can’t believe I spent 8 months of 2012 there and I’m glad that I can look back on the experience positively and be happy at what I accomplished and experienced there. I’m entering into the final semester of my engineering degree and soon moving on to the next chapter of my life. I’m not sure what the future holds for me, but I’m so thankful for all the wonderful people that have helped me grow over the past year. Thanks for following along, I really enjoyed sharing with you and I’ll probably continue to blog about my experiences, both travel related and otherwise in 2013. 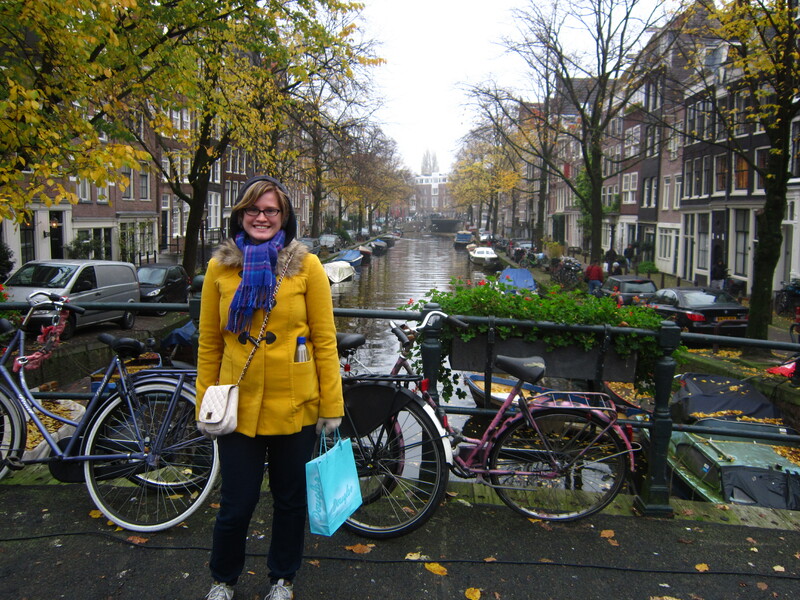 My Weekend in Holland: Canals, bicycles, and lots of Dutch treats! I just got back from my second mini-vacation this semester. This time I went to the Netherlands to visit Helena; we visited a different town every day and I absolutely loved them all! Helena lives in Leiden, which is a half hour train ride outside of Amsterdam. The town is about the same size as St. John’s, but the city centre is filled with canals, cobblestone roads, windmills, and lots of bicycles! On my first three days we visited Haarlem, Amsterdam, and Utrecht, and on my last day I did some exploring in Leiden. One of the first things I noticed about the Netherlands was how European everything feels. This might seem like a bit of a weird comment since I’ve been living in London and traveling around Europe for most of this year, but all the cities I visited felt so old and untouched by the rest of the world. 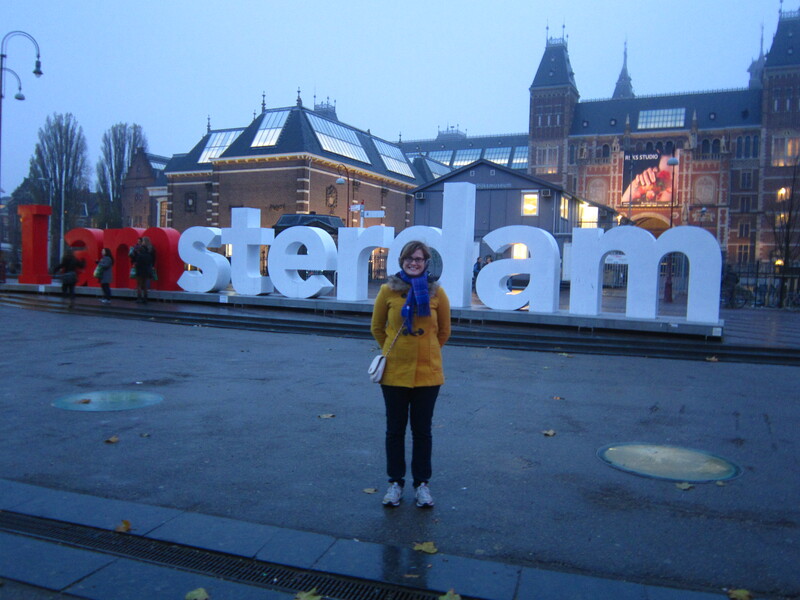 According to Helena, Amsterdam is one of the largest cities that was unaffected by WWII. While London’s key buildings were saved during the blitz, much of the rest of the city was flattened. A lot has been restored, but you can definitely tell that London is a newer, more modern, city. While several towns in the Netherlands were bombed during the war, most of them escaped any large scale damage, leaving the cobblestone, buildings, bridges, and canals all intact. I think this is what created such a different atmosphere for me. Amsterdam is a very different city. We started the day off with a 3 hour tour of the city that started in the main square in Amsterdam, Dam Square, and took us through the red light district and the canal network to the royal palace, old church, and Anne Frank House. There’s definitely two sides to Amsterdam – it was interesting to learn about some of Holland’s more liberal policies regarding marijuana and prostitution and how legalizing both of them has resulted in less occurrences of hard drug abuse, pimping, and sexual trafficking. However, my interest in visiting Amsterdam was to see the rest of the city and we didn’t spend much time in the red light district. My favourite part of Amsterdam was easily the Anne Frank Huis (house). I read Anne Frank’s diary when I was 10 and I’ve always been fascinated with WWII history, so this was the number one thing I wanted to visit. The house has been transformed into a museum, but the secret annex where Anne lived for two years has been left empty. After walking up two flights of stairs, you go through the secret bookshelf which is the entrance to two floors and several hidden rooms at the back. All the furniture was photographed as it existed when Anne lived there, but it has all been removed in the rooms now. I was surprised by both how large and how small the annex was. I knew it was two floors, and I expected it to be small as it was secret, but it’s a little bit hard to believe that 8 people lived there for 2 years! During their stay, Anne pasted several posters to the walls and her parents marked the height of her and her sister on the wall; these things still remain in the house, but everything else is gone. After a fun day in the city, it was a bit of a reminder of the darker history of the country. The rest of my time was devoted to exploring Haarlem, Utrecht, and Leiden. I’m so glad we didn’t spend all of our time in Amsterdam, because I absolutely loved visiting the smaller towns! Leiden and Utrecht were my favourite. It was easy to walk around the smaller cities and the canals give the towns such a nice feeling. 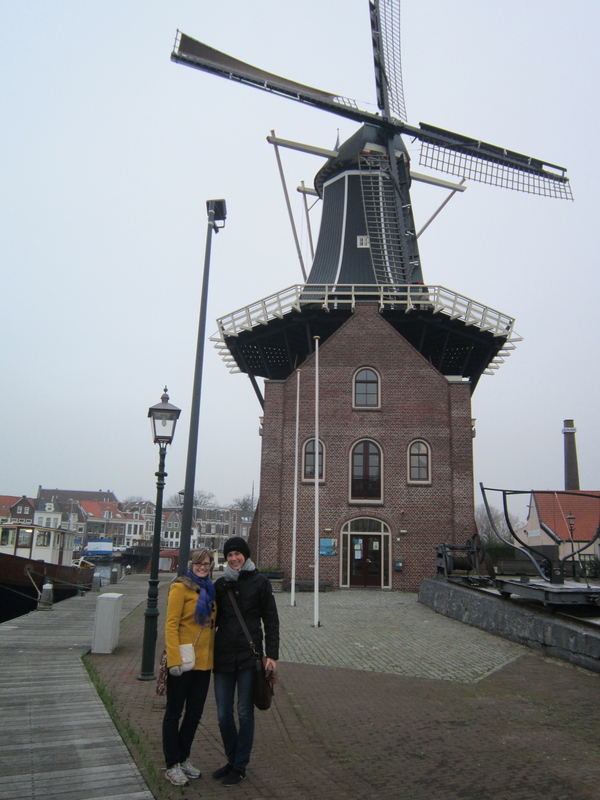 We spent our time walking along the canals, shopping, and eating Dutch treats. We particularly liked oliebol (although I also tried bitterballen), which is a large piece of fried dough sprinkled in icing sugar (so basically a larger, round, touton). We also had a huge laugh on our way back from Utrecht, one of the train stations was closed, so we had to temporarily take a bus – to make up for this minor inconvenience, we were provided with free treats! The transportation staff was waiting for us with soft drink, stropwaffles, chocolate, and candy! We went out with a few of Helena’s friends for live music on Friday night and had a truly Dutch experience. I’ve never seen more bicycles in my life than what I saw in the Netherlands. Everyone rides bikes there and you constantly have to watch out you don’t get run over by one. 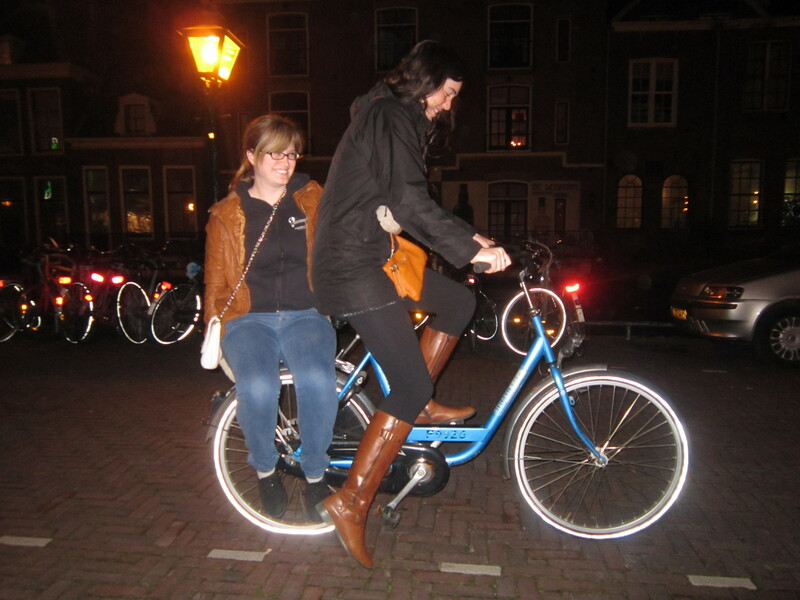 Since Helena only had once bike though, we had to cycle to the bar ‘Dutch’ style! This means I sat side saddle on the back rack of Helena’s bike and she cycled both of us! She was a bit wobbly at first and I was a bit nervous and kept jumping off, but we eventually got the hang of it and had a great laugh learning! Home in 25 days, gotta make the most of the last few weeks! Chillin’ with the windmill in Haarlem!